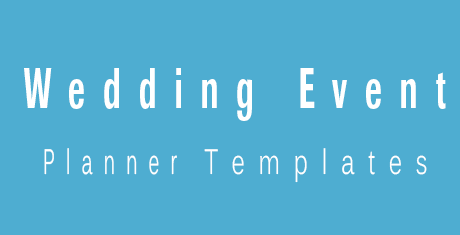 The job of wedding event planner depends a lot upon the kind of publicity he or she gets from the work done by him or her or by showcasing the work already done by him or her. 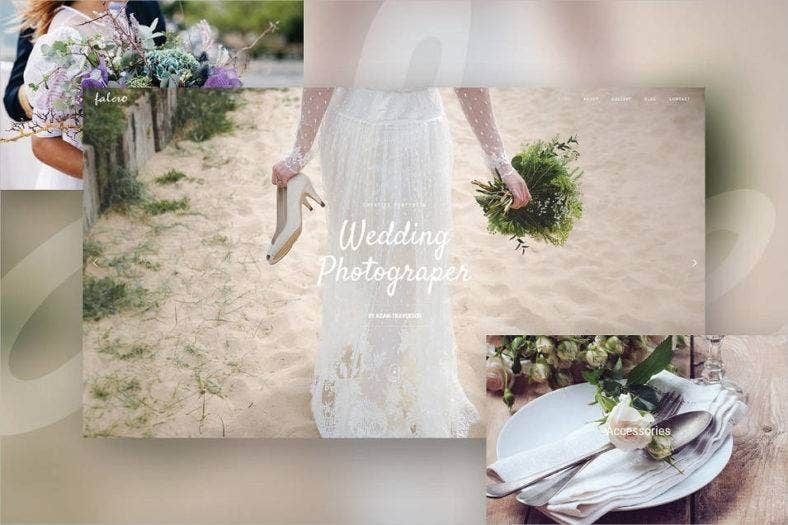 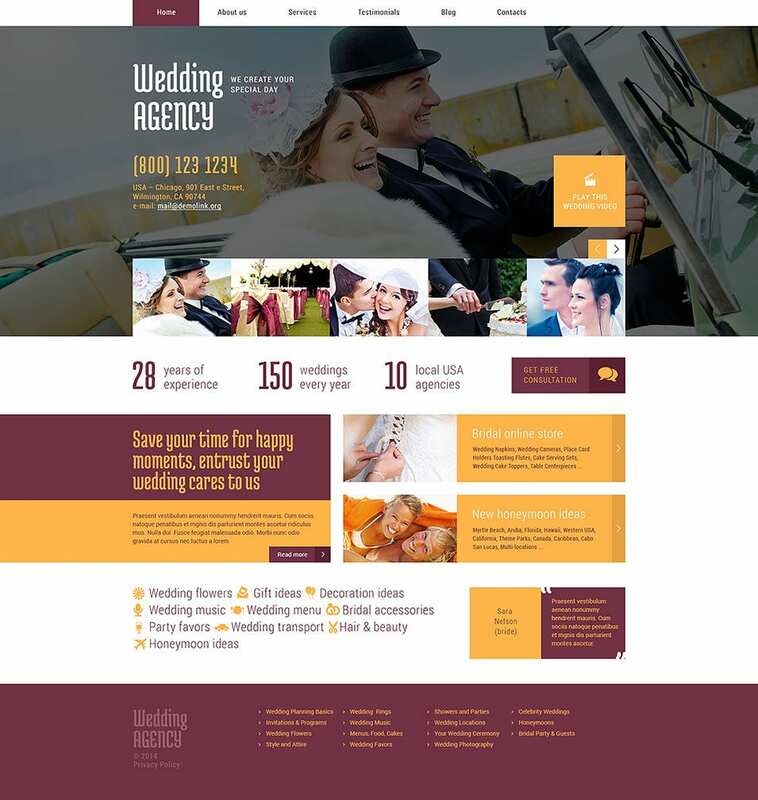 In this context, it is of fair significance that a wedding planner creates a website which will give him exposure to hundreds and thousands of people and by making use of wedding event planner website template this job becomes even uncomplicated and trouble free. 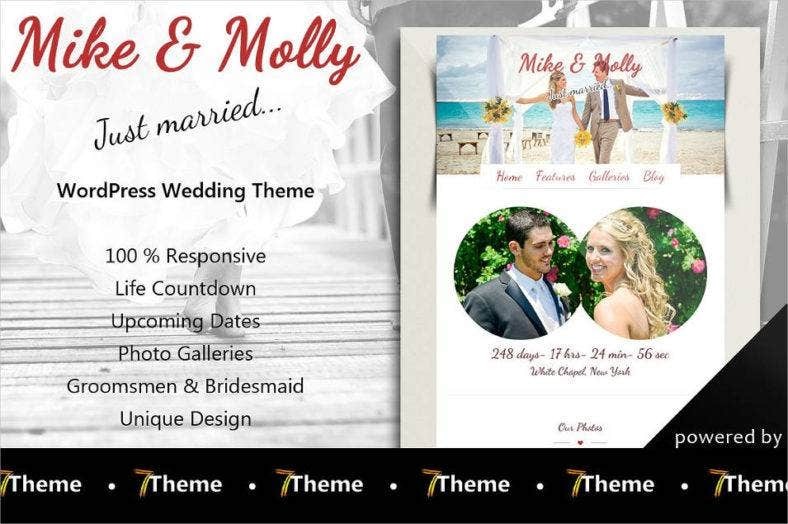 One just needs to download the templates and install them to enjoy all the premium features offered by the templates. 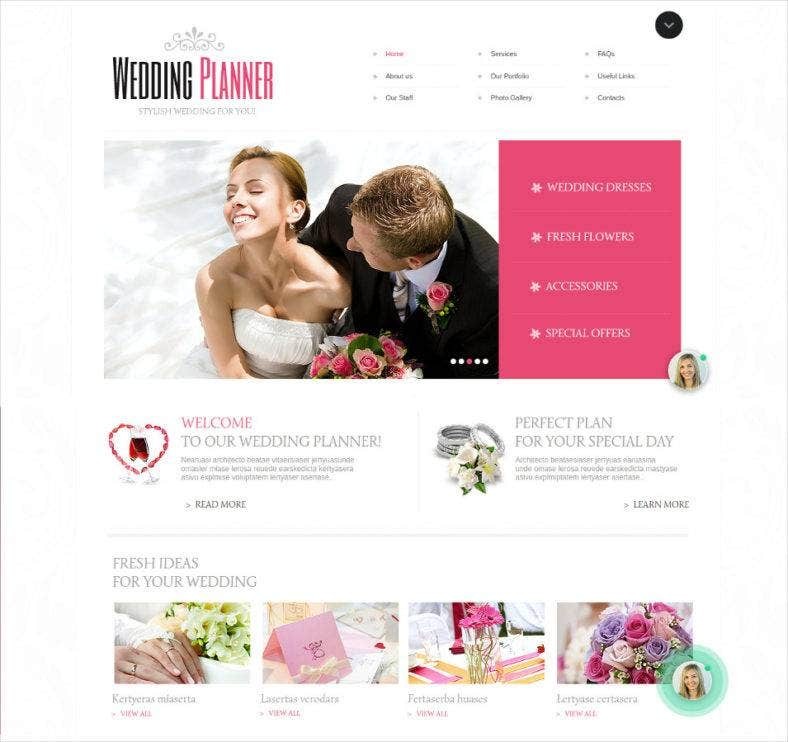 The templates help you create a top website which helps you showcase your work and themes so that your potential customer get to see what brilliant work you can do. 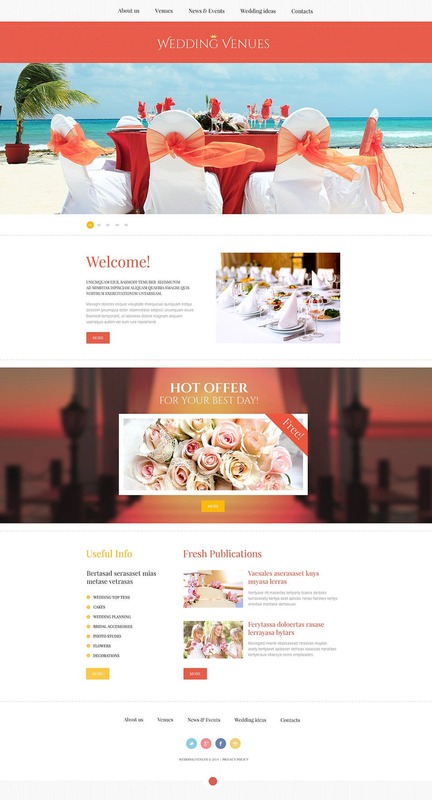 The best part about these templates is that once can download them for free without spending any money and enjoy the great features offered by them. 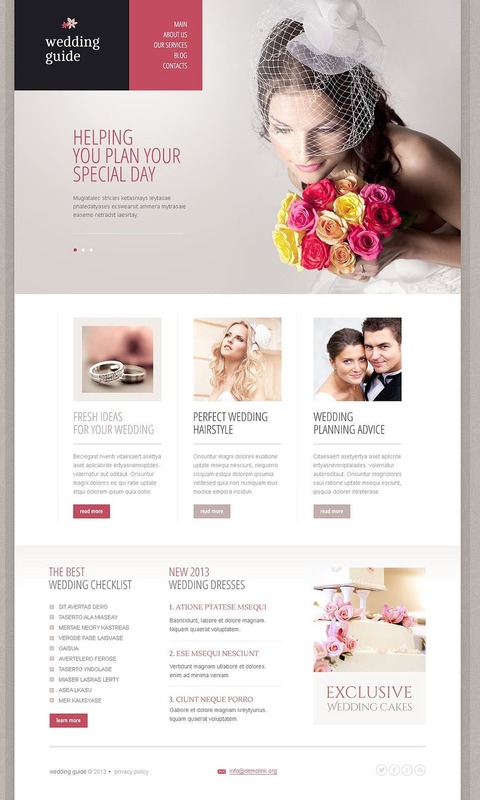 The templates are so splendid that the website created is the best with drop down menus which help you organize your entire work into various categories. 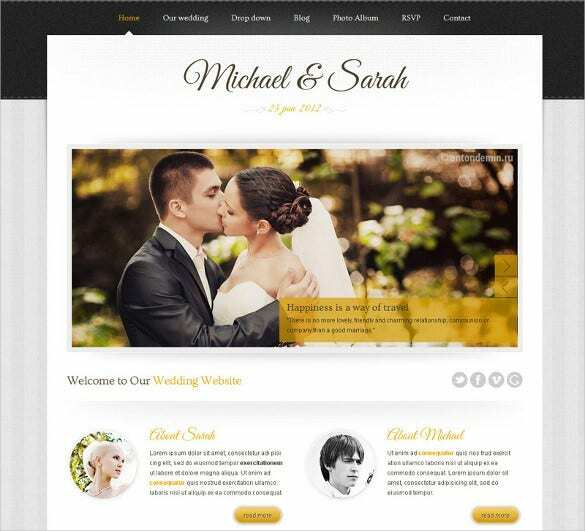 You also get additional features such as customize able color, font and images which helps one to get a personalized website. 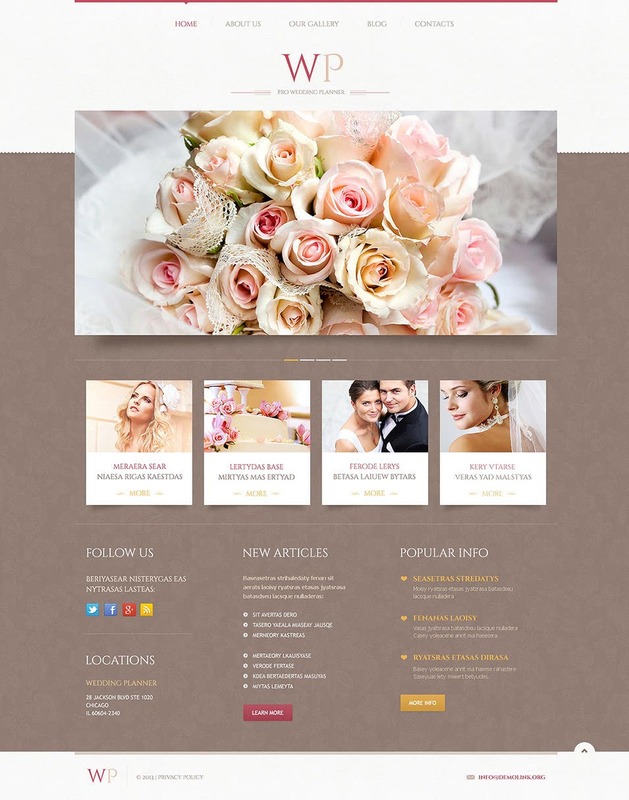 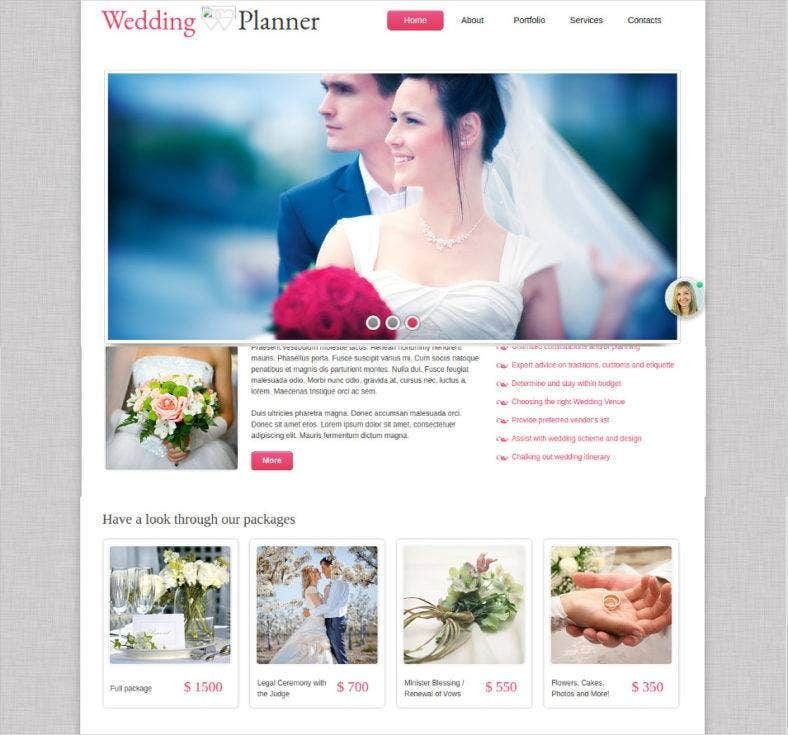 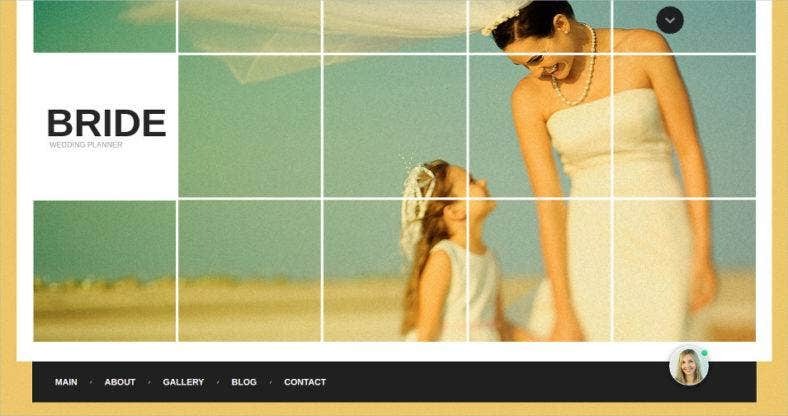 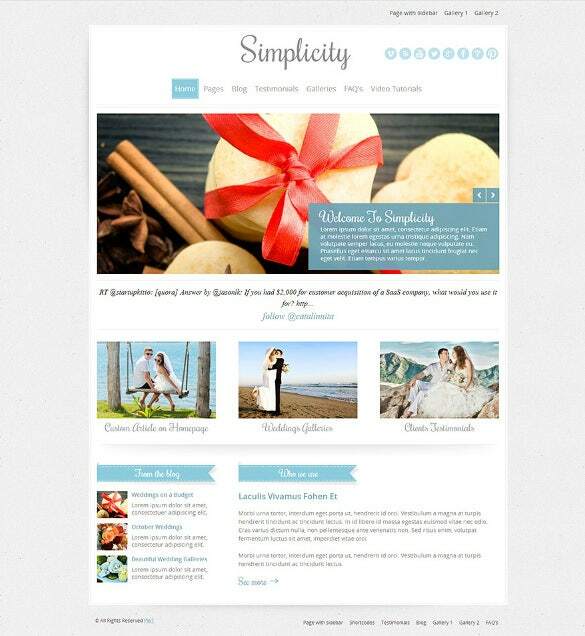 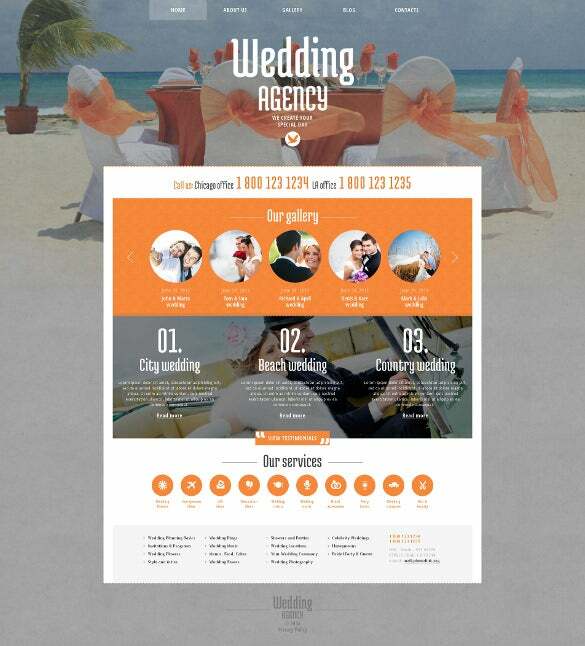 Wedding is fully responsive and cross browser compatible. 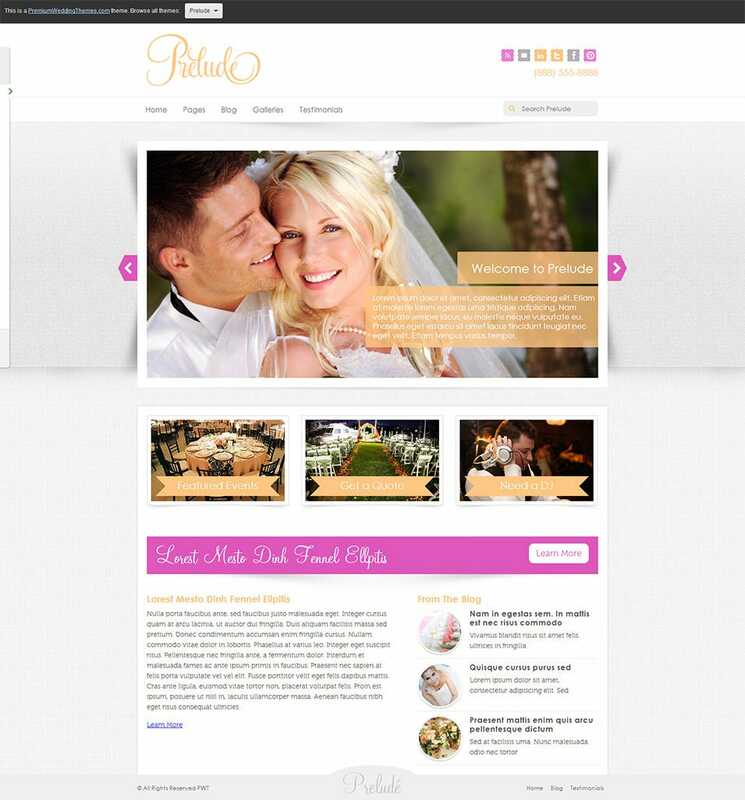 It comes with an easy to use admin panel and is SEO optimized. 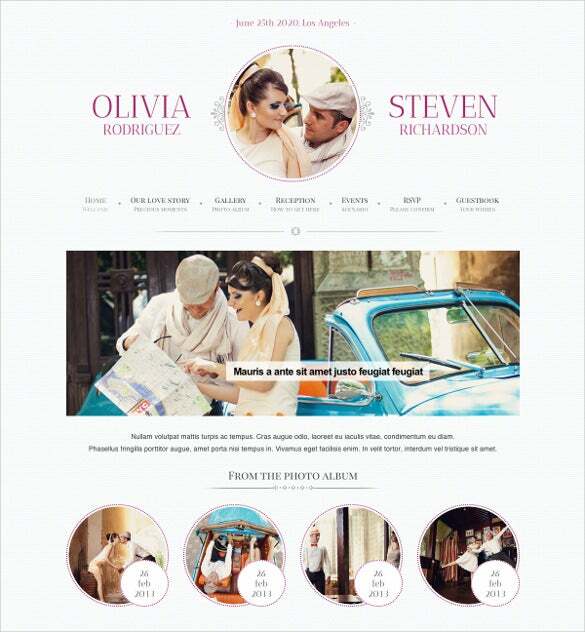 Social media options are integrated for easy sharing, liking and commenting.